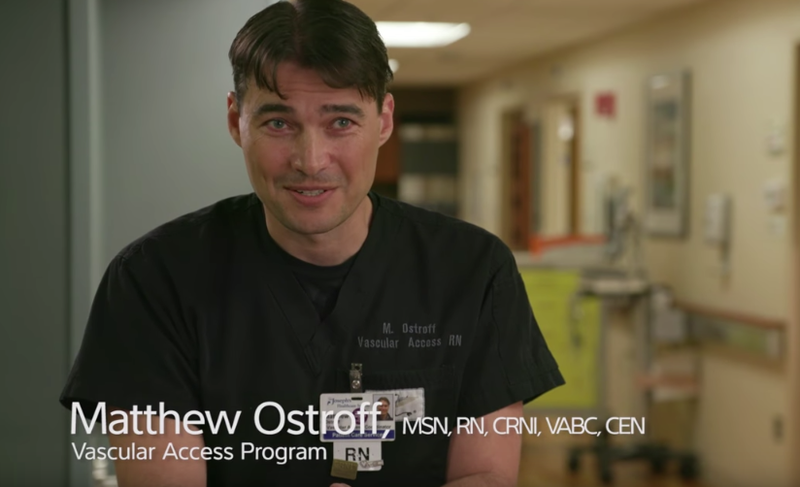 How does ultrasound-guided vascular access improve care and reduce costs? In a new article in Axis Imaging, Fujifilm SonoSite's Chief Medical Officer Diku Mandavia writes about how Matthew Ostroff, ARNP, a vascular access specialist at St. Joseph’s Healthcare System, a 700-bed hospital in Paterson, N.J., chartered St. Joseph's recently implemented ultrasound-guided vascular access program in its emergency department, which ranks as the second busiest in the nation. "Procedural ultrasound…acts as a visual GPS that allows clinicians to map the patient’s blood vessels and identify the simplest, safest, and most cost-effective catheter site,” says Ostroff. As the author of a comprehensive report, Ostroff reported that his hospital saved $1 million by substituting ultrasound-guided PIV in difficult-access patients for peripherally inserted central catheters (PICCs). At St. Joseph’s, PICCs take 40 to 45 minutes to insert, at a cost of $280 for supplies alone, versus 5 to 10 minutes to place a PIV line with a supply cost of $25 to $30. St. Joseph’s program also yielded savings of $2.5 million by reducing length of ED stay and referrals to interventional radiology. Robust evidence suggests that ultrasound-guided vascular access not only enables practitioners to provide safer, more efficient, and more successful care to critically ill or injured patients, but employing this technique may also lead to large cost-savings for providers and patients. Read the entire article from Diku Mandavia on Axis Imaging here. When transitioning from volume- to value-based care, healthcare systems must identify ways to deliver high-quality healthcare efficiently. Fujifilm SonoSite understands this imperative. Learn how SonoSite Solutions aims to increase patient safety and eliminate complications.